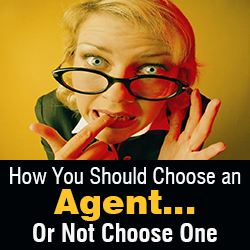 One thing that consistently aggravates me is is use of percentages in choosing an agent. This article explains why…and to anyone I offend I apologize. When you are interviewing agents to sell your home, sometimes agents like to boast how they sell homes for X% more than the average agent, or in X days faster than the average agent. So what? Here’s an example of how agents might bend their numbers to look good. Let’s say homes sell in your area for 100k, but maybe you are a little more motivated so your agent says let’s list it at 90k. You get multiple offers in 5 days and drive up the price. Heard that one before? Let’s say it sells for 100k. So now their list to sales price ratio is over 100%. Here’s another. Your agent says homes are selling for 100k but you aren’t as motivated to sell so you list at 110 and 4 weeks later you sell for 105. So their % is 95 but you sold for 5k more. I understand motivation is different, but whose to say the first agent couldn’t have just listed for 100 and gotten 105 too? But more importantly is the smaller list to sale price %.. but what should matter is the net to seller. In other words, agents sometimes use this to their advantage but if I’m that seller I’m happier with the 5k…even if it took 25 more days. I also love the agents who say they sold 90% of their short sale listings. Who cares. What’s more important to me is how many listings did you sell where the borrower didn’t have to come to the table with cash, or a promissory note. Or the same agents who would list the same short sale for 30k less than a comp because it’s a short sale. Sure, the home is “distressed” but that doesn’t mean a distressed home is always worth less than a “regular” home. I’ve seen some real POS regular homes and some real nice short sales. So what’s this mean to you–well, when you interview agents ask the questions that are important to you. Maybe it is how much a home is listed for vs how much it sells for (example above listed for 90, sells for 100). Maybe it is the agent’s average days on market. But just remember those numbers might be so watered down to be in the agent’s favor that it isn’t comparing apples to apples. Here’s some of the things I think are important: what will you do for me, how will you do it, and do I like and trust you. I strive to market my homes for prices that match up to my client’s goals. Sometimes I am high. I am almost never low. 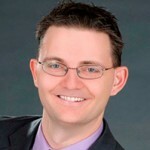 Blair Ballin is President of The Blair Group, a locally and nationally recognized team. The Wall Street Journal has recognized The Blair Group for being in the Top 50 teams in the USA. The Arizona Business Journal has recognized Blair Ballin for being a Top 10 Producer in the Phoenix area.